Local working drummer Ben Tufts, a keystone of the DC musician’s community and an accomplished artist that has performed with many bands locally and nationwide, was recently the victim of a studio theft that robbed him of all his gear and instruments acquired over the past twenty years. Here’s the partial list of what Ben lost. 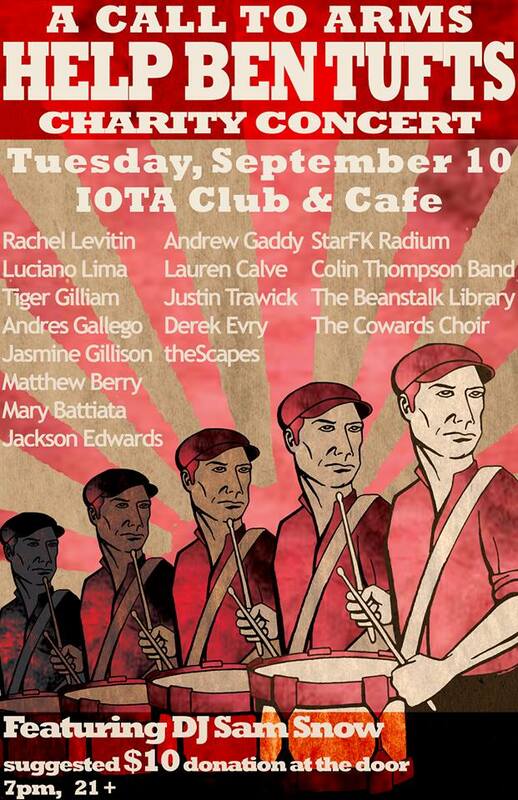 Tomorrow, Arlington’s IOTA Club and Cafe (2832 Wilson Blvd, Arlington, Virginia 22201) is hosting a charity concert for Ben featuring a huge line-up of DC’s best and brightest bands. See the full list below. Don’t miss it!